Suspended Timber Ground Floors consist of the finished timber floorboards being attached to floor joists, which are suspended above the subfloor of the foundation. These floor joists are raised above the subfloor on small supporting walls called tassel walls (or sleeper walls). A wallplate is then attached to the top of the tassel walls, on which the floor joists rest on. A damp proof course separates the wall plates from the tassel walls, preventing decay from any rising moisture. Also, note the gap in the block work of the tassel walls, ensuring adequate air circulation. Vents are installed in the external wall to ensure that adequate ventilation is given to the timbers, ensuring the circulation of fresh air, keeping the timbers dry and preventing decay. Note the stepped DPC, installed above the vent to prevent moisture penetration. 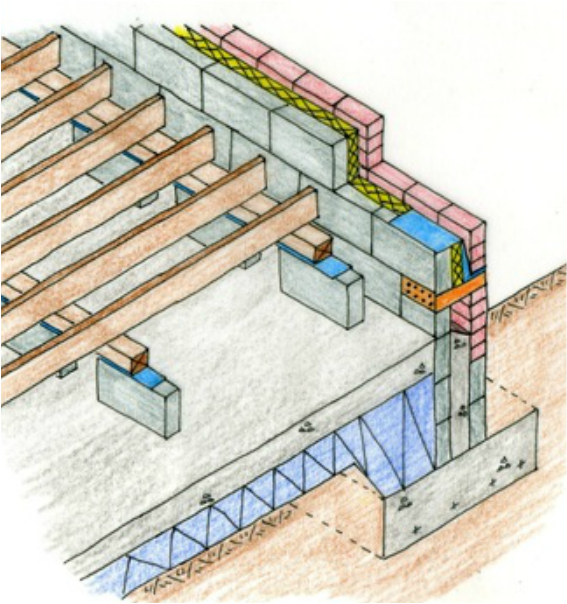 To ensure that the floor is thermally insulated, either rigid or blanket insulation is placed between the floor joists. 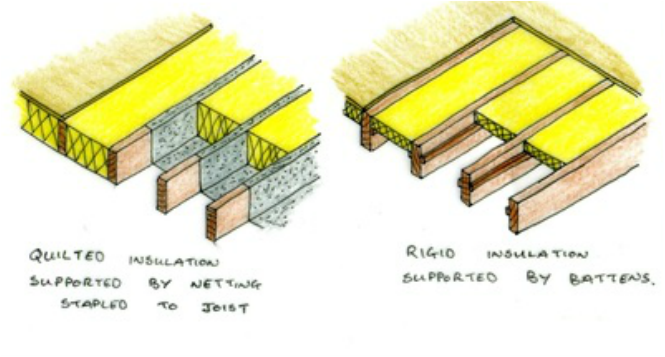 The quilted insulation is supported by netting stapled to the joists, while the rigid insulation can be supported on battens between the joists. This video shows the most effective approach for drafting the detail drawing of a suspended timber floor.